Barnes Greenhouses is located in north central Missouri. Still family owned & operated, we have been growing for over 100 years. With over ten decades of experience we have firmly established ourselves in the horticultural industry. We always strive to provide the highest quality and best customer service at a reasonable price. We look forward to serving you in 2018. 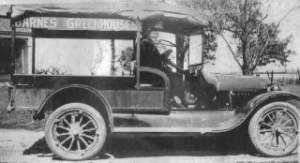 When Barnes Greenhouses was established in 1890, by Benjamin & Elizabeth Barnes, they grew tomato, lettuce, and radish plants in one small greenhouse. 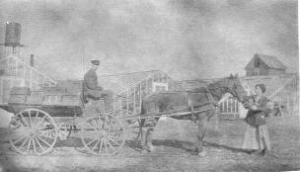 The vegetables were harvested and distributed to local markets by horse and wagon or by rail. Today Barnes Greenhouses grows nearly 130,000 units of plant material at their 7-acre growing facility and distributes by truck to retailers all across the Midwest. 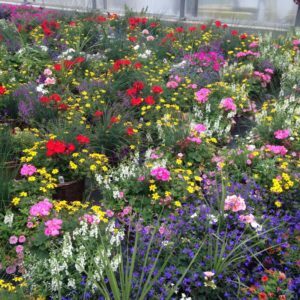 We specialize in high quality potted plants, baskets and patio planters including flowering annuals, vegetable plants, perennials, foliage, and fall mums. The garden center opened in the late 1980s and continues to expand each year. It offers a chance for local customers to buy high quality plants, straight from the grower. We offer a wide variety of gardening extras; seed, soil, fertilizer and garden décor to name a few. Our friendly staff is proud of the exceptional customer service we provide. High quality plants and exceptional customer service - buy straight from the grower at Barnes Greenhouses. There is great value in buying at Barnes Greenhouses.